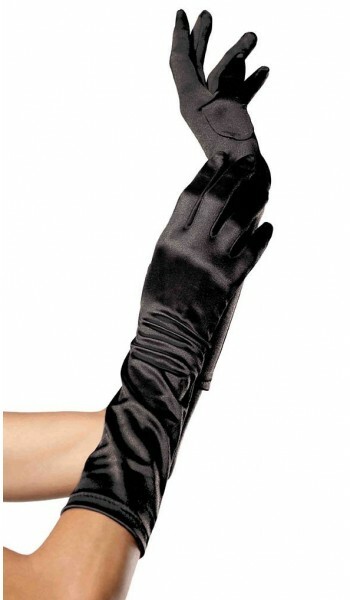 Add an elegant finishing touch to any formal occasion in these lovely black stretch satin gloves. 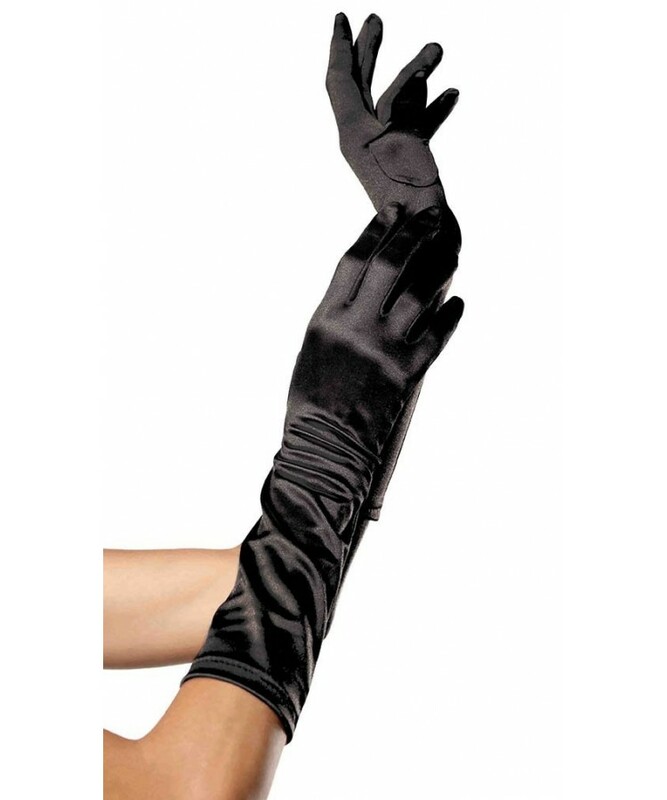 Black satin stretches to fit most adults (and teens) reaching to the elbow. A great accessory for costumes, weddings, and prom. Item Number: LA-L8B-BK | Approximate Size (Inches): 8.00 wide x 1.00 deep x 10.00 high | Approximate Shipping Weight: 0.50 lbs.